To prevent fitness-related injuries. Our cell membranes need fat to be strong and resilient to damage during exercise, and these fats also keep inflammation under control. 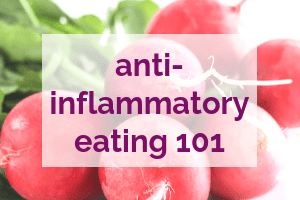 With a half Ironman-distance triathlon on the calendar this summer, I’m doing everything I can to stay healthy leading up to (and during and after!) that race. To improve the condition of my skin, hair and nails. Not that any of them are particularly distressed, but I know my skin in particular could be better. To boost digestive health. 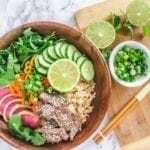 If you eat as many fruits and veggies as I do, chances are you’re having zero problems with hitting your daily recommended fibre intake. 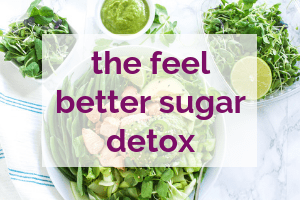 Too much fibre can be just as big of an issue as too little, but fat helps keep the digestive tract nice and slippery so that those high-fibre foods can keep moving along. Since putting more focus on all of this, I can honestly say that I’ve been completely blown away by the positive results I’ve seen so far. But more about that in another post – let’s get back to talking about nuts. 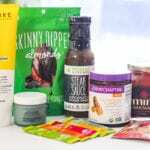 Back when I was at CHFA West in April, I caught up with 2 of my favourite companies, Navitas Naturals and Prana. 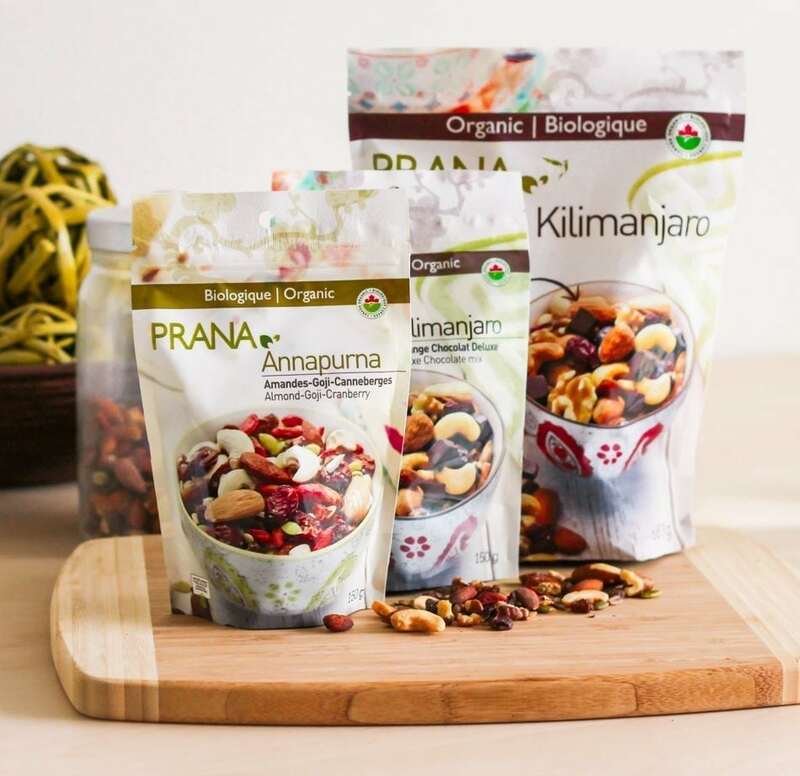 Prana’s trail mixes are my absolute favourites, and if you really want to know the way to my heart (aside from a plate of grilled salmon on a cedar plank), it’s Prana’s Kilimanjaro Mix. Just imagine this: organic almonds, sultana raisins, dried cranberries, walnuts, salted cashews, sea salt, and (the pièce de résistance), organic 70% dark chocolate. Huzzahhhhh! Moving right along to my next favourite thing…. 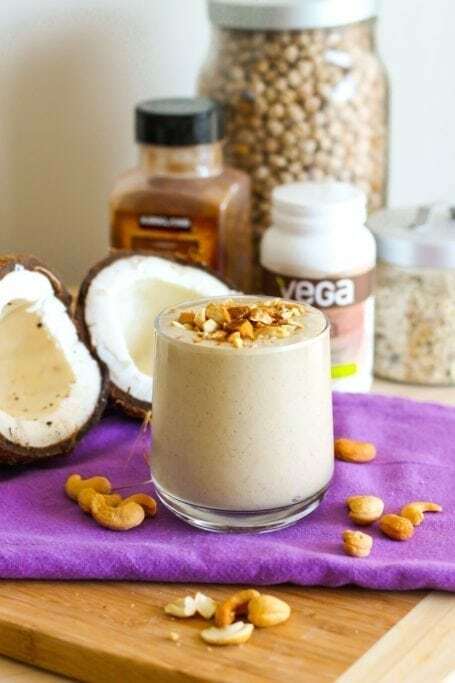 Maca is also believed to be a good aphrodisiac, but scientific studies are limited so I’ll let you test that one for yourself! Taste-wise, maca isn’t sweet at all but it creates a beautiful nutty, butterscotch-like flavour when used in recipes like the one I’m going to share with you today. 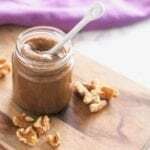 But I can’t really take credit for the uniqueness of this recipe, because it was 100% motivated by my desire to have my Navitas Naturals Maca Maple Cashews without having to pay a ton of money for them. 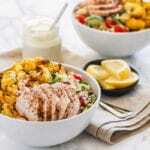 After looking at the ingredients panel, I realized that I could probably re-create them very easily at home with just a few simple ingredients that were already in my kitchen. So I did. 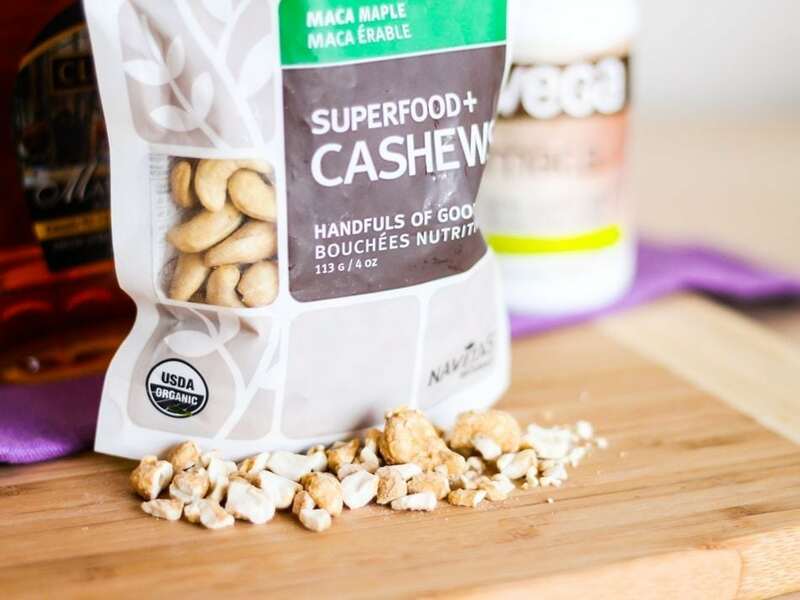 Maca root powder: You can find it in health food stores or online in both capsule and powdered form. 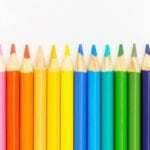 (I use Vega maca, which is available in both formats). 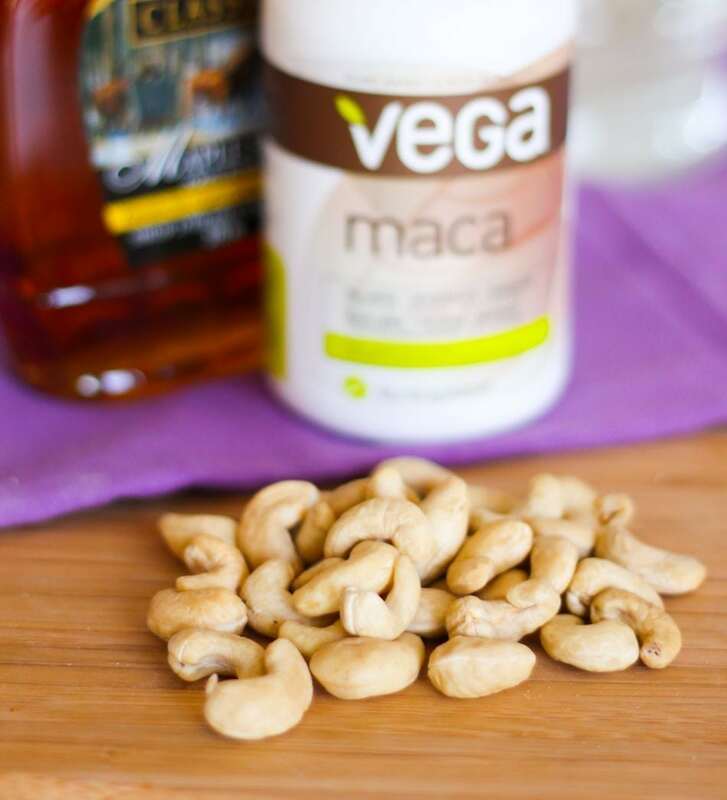 You’ll only need a little bit of maca powder for this recipe, but if capsules is all you have, don’t you worry. 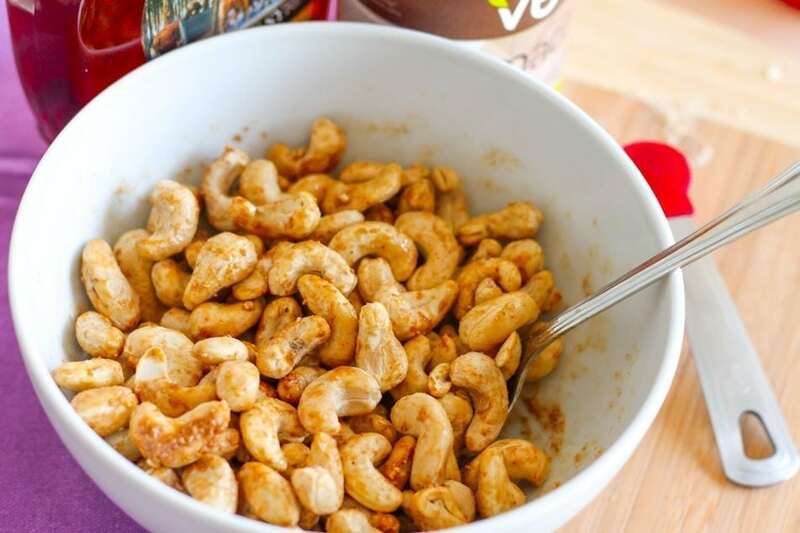 Simply open up 4 and empty them out – that should cover the 1 1/2 tsp that you need to coat the cashews. 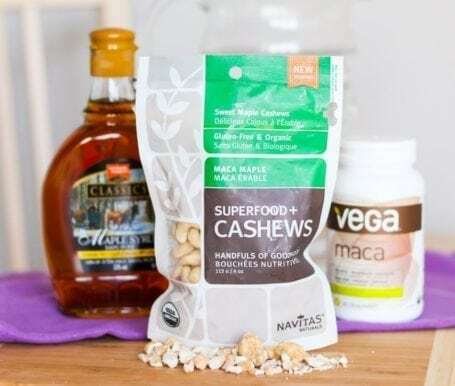 Cooking time: When taste testing my maca maple cashews against Navitas Naturals ones, it occurred to me that the latter didn’t taste roasted at all. I’m not sure if they’re raw or not, but I found that the light roasting I gave my batch of cashews really helped to bring out the warm, butterscotch-y flavour. If you don’t want to roast yours, I’m pretty sure you could just toss them in the maple syrup and maca mixture, then leave them out in a cool dry place to harden. Preheat oven to 275F and line a baking sheet with foil or parchment paper. In a bowl, toss the cashews with maple syrup and maca root powder, coating as evenly as possible. Scatter the cashews out on the baking sheet. Bake for 20 minutes, flip the nuts, and bake another 10-20 minutes. 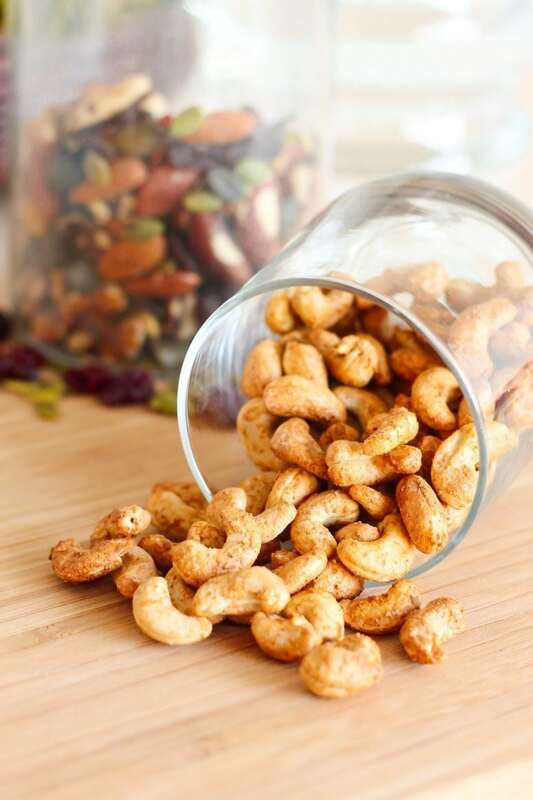 Let the cashews cool. If they seem soft when you take them out of the oven, cooling should make them crunchy again. Enjoy as a snack on their own, or use the cashews to top parfaits, oatmeal, frozen yogurt, or smoothie bowls. Speaking of smoothies, that’s the second recipe I’ve got for you. If you follow me on Instagram you may have seen it this past Sunday, and it was just too good not to be shared in a blog post too. Put all ingredients into a blender and blend until completely smooth. 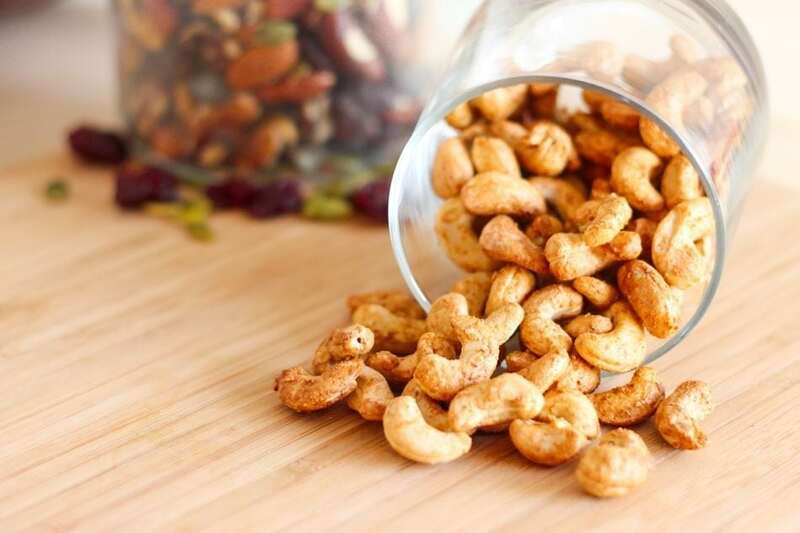 Pour into a glass and sprinkle with cinnamon and chopped maca maple dusted cashews! 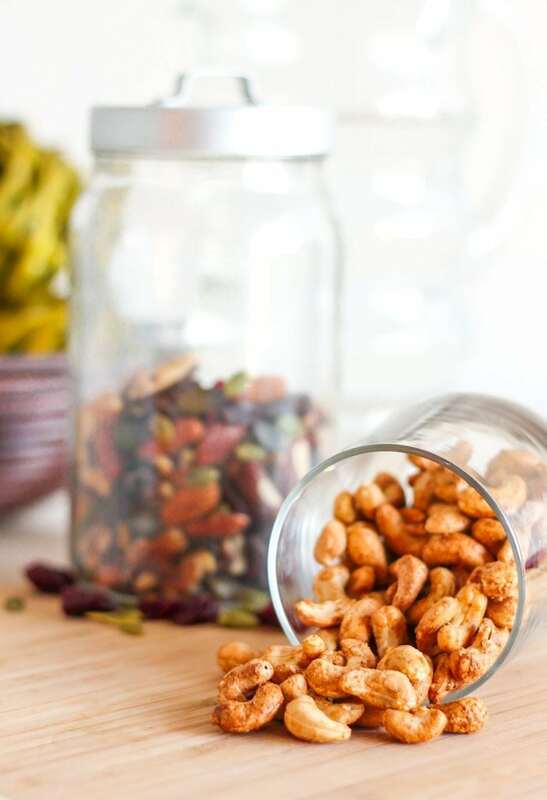 Is there a trail mix or superfood snack that you’re totally addicted to? Let me know and I may attempt to re-create it! I totally hear you on wanting to eat ALL the nuts, Cara! I’ve found that keeping these in a container and tucked away in my pantry is the best strategy – that way they’re not staring back at me every time I open the door. 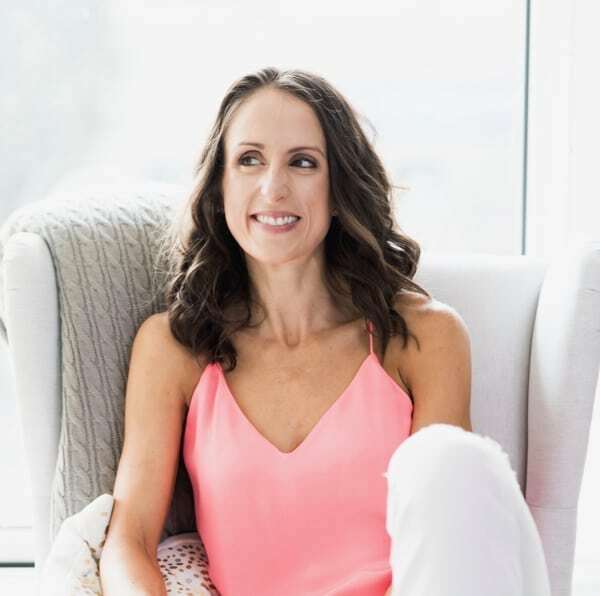 I’m glad to hear you’re seeing positive results with adding in healthy fats too! What a great idea! 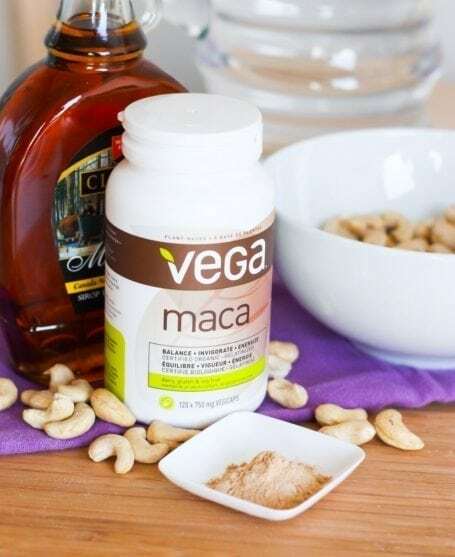 I’ve been wanting to try Maca powder, I’m going to check out the Vega brand love everything by them. Great to hear, Ivanna! I love maca and use it quite regularly. 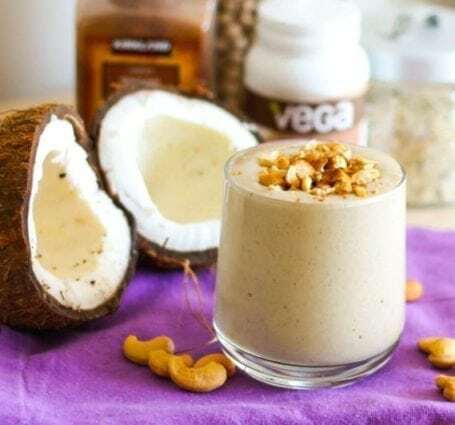 Like I said in the post, it has this lovely butterscotch-like flavour that makes it a really good smoothie add-in as well. Enjoy! I’ve tried the Navitas Naturals Maca Maple Cashews and enjoyed them. Like you, I find them too pricey to buy very often. 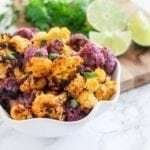 I’m looking forward to making my own. Thanks for the recipe! Oh. This is a good reminder for me. I have been slacking on fats again lately. I have a giant avocado that I will have to gobble up this evening and when I have a moment, I absolutely will have to make this mix. Anything that tastes like butterscotch and I am THERE. Love it! I think we still have some roommate telepathy going on because I just did the same thing with an avocado last night. 🙂 PS The second I figure out how to make a smoothie that tastes like a Werther’s, you will be the first to know. 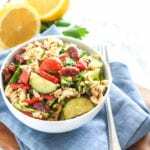 Looking forward to your post on the results you’ve noticed from upping the healthy fats. I struggle a bit in this area, too, & I think a post of that nature would be motivating for me. Thx! 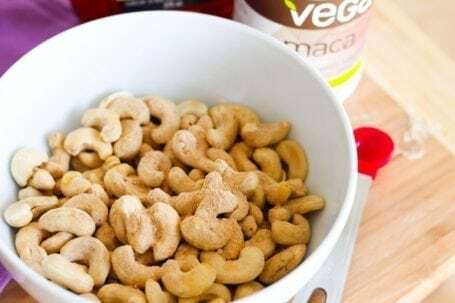 Love this twist on Cashews! Such a great way to spice things up! What a fun snack. They sound crack-like! Despite the water shortage, I have been devouring the avocados lately. 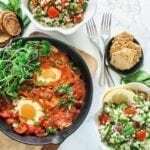 Bring on the healthy fats!